This charming Automobile Bonnet Pattern was transcribed from a vintage pattern that dates back to the early 1900s. 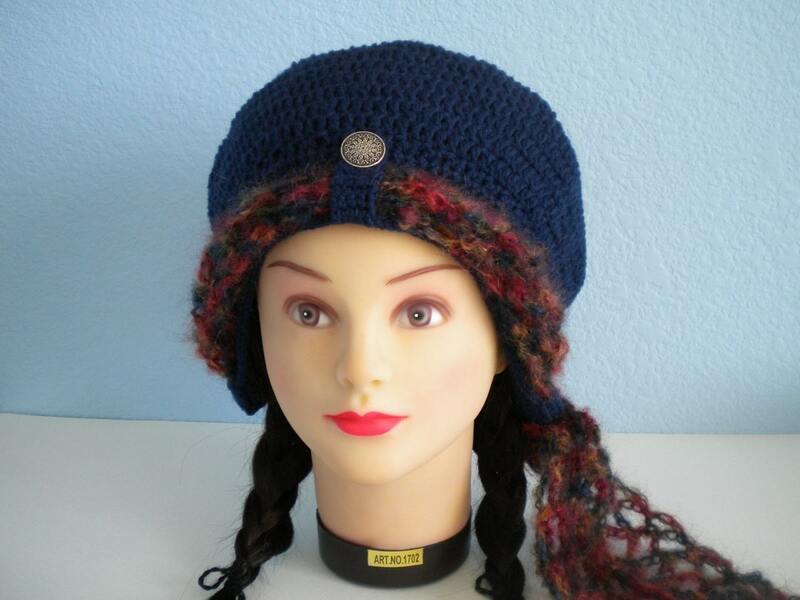 At first glance it may seem old fashioned, but remove the scarf and use interesting buttons, and you have a modern slouchy hat with steampunk flare. For those of you who are looking for the charm of bygone days or love to take vintage and giving it a fresh look, I have written this pattern using yarn and hook sizes that are widely accessible today. 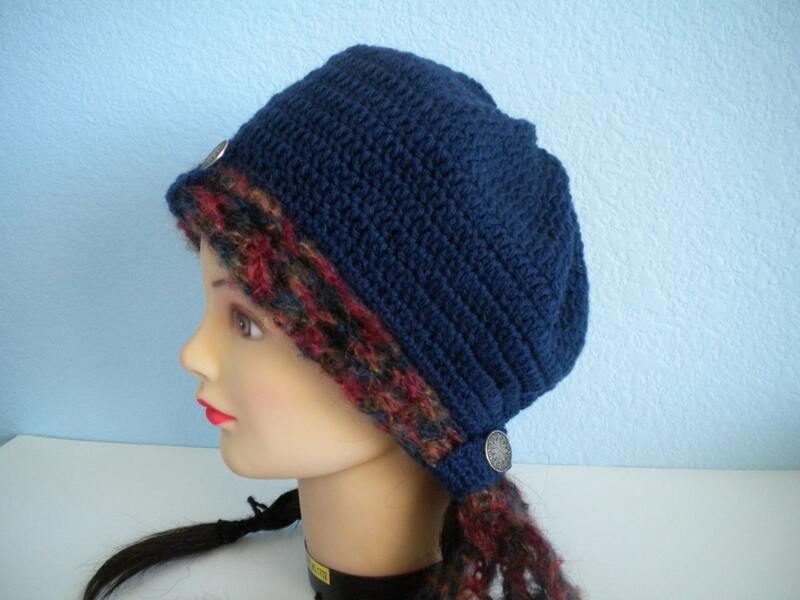 The hats pictured here were made using just one skein of Patons Classic Merino Wool and a US size F or 3.75mm crochet hook. 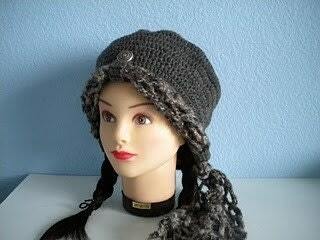 This pattern is a one size fits most and wears comfortably on head sizes 21"-23". 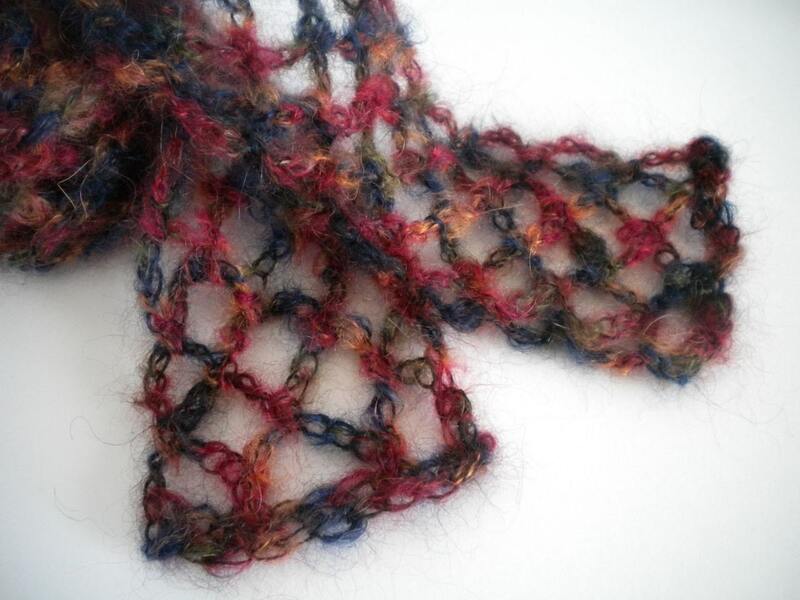 This Automobile Bonnet pattern also comes with a free crochet scarf pattern, Jenn's Quick and Easy Open Weave Scarf, so you can create the same look. 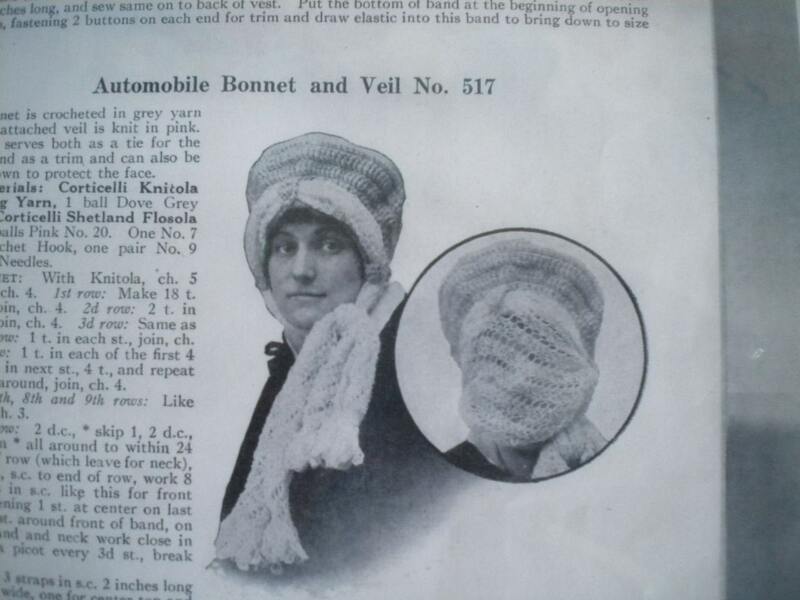 The original Bonnet was made with a wide scarf that was brought down as a veil to protect the woman's face. This purchase is for the Automobile Bonnet pattern only. It does not come with the hats and scarves pictured here. I hope you enjoy making this vintage style Automobile Bonnet!